Dr. Alexander is a Maryland native who grew up in the Arnold/Severna Park area. 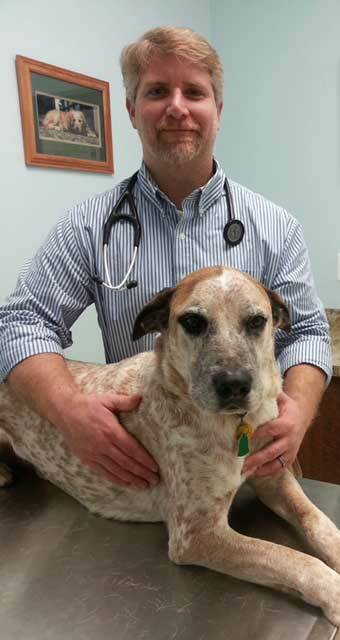 His decision to pursue a career in Veterinary Medicine was solidified in a Biology class at Severn School, from which he is a 1994 graduate. Dr. Alexander went on to obtain a B.S. in Biology from the College of Charleston in S.C. and completed his life long goal by receiving his Doctor of Veterinary Medicine from Ross University in 2003. It was there at Ross University where he met his wife, Dr. Elizabeth Alexander. The couple began their careers at Animal Hospitals on Cape Cod in Massachusetts for approximately two years before returning to Maryland. Dr. Elizabeth Alexander is currently the co-owner of the Animal Hospital at Southgate in Glen Burnie. Dr. Eric Alexander opened Alexander Animal Hospital in 2013 after spending 7 years at Pasadena Animal Hospital in Pasadena and Belair Veterinary Hospital in Bowie.